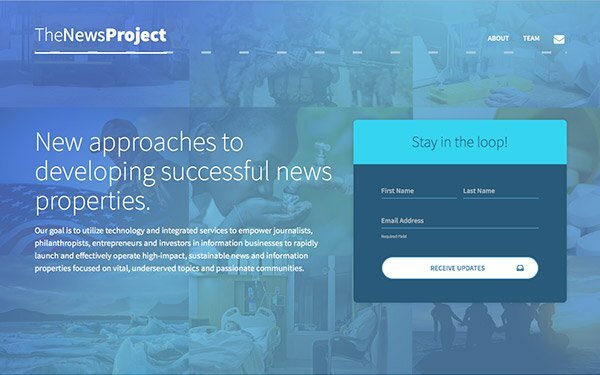 The News Project (TNP), a publishing platform company formed by media executive Merrill Brown and companies from the media, journalism and technology spheres, launched today. The platform will allow corporations, nonprofits and individuals to build and launch publishing endeavors easily and quickly through new tools and technologies offered by TNP and its partners. The Associated Press will collaborate with TNP, offering the platform’s technology through its Emerging Solutions program. In turn, TNP will give its sites access to AP content through subscription. TNP allows users to create a range of sites, including pop-up topical sites, branded content news hubs and nonprofit community outlets, which can frequently be cost-prohibitive for a startup publisher. According to Brown, the intention of TNP is to provide solutions to topics and communities too often underreported. He believes by providing an easy, affordable structural tool, more voices can be heard in the publishing sphere. Founding partners include Charming Robot, a design and user experience firm, a seed investor group led by Mark Walsh, and digital development company 10up, which engineered the platform. Technology from Piano, a digital subscription and audience intelligence technologies company, will also be integrated into the platform. Many individual investors are also involved in supporting the platform.